I am having a hard time gearing up for Lent, which begins Ash Wednesday, March 9th. It’s easy to get into the introspective mood that the holy season demands. Scratch that. It’s easy when it’s cold, overcast and just plain icky to get into the introspective mood that the holy season demands . The weather enhances the season of penance. But not when trees are blooming. And the green shoots of my perennials are poking through the brown earth in my garden. Not so much. 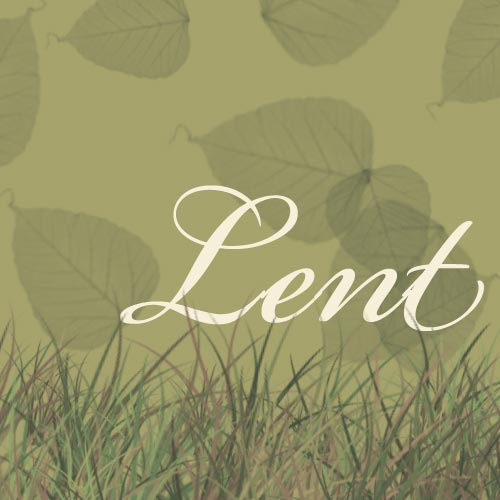 Lent demands prayer, penitence, alms giving and self-denial. Dreary days and trees with bare limbs are perfect backdrops for meditative walks as I review choices made and pledge, once again, to do better. Forty days later, Easter arrives as the earth awakens. And the first pitch of opening day – with suds and dogs at the ballpark - isn’t far behind. But the spirit of penitence is hard to muster find when the South shows off with its flowering trees and yellow daffodils and the mercury climbs to the comfortable 70s. Help me out. How will you keep the spirit of Lent during the beautiful days of spring?